Shiboridashi is one of the tea brewing equipments. In Japan, this equipment is often introduced for brewing Gyokuro or Sencha. 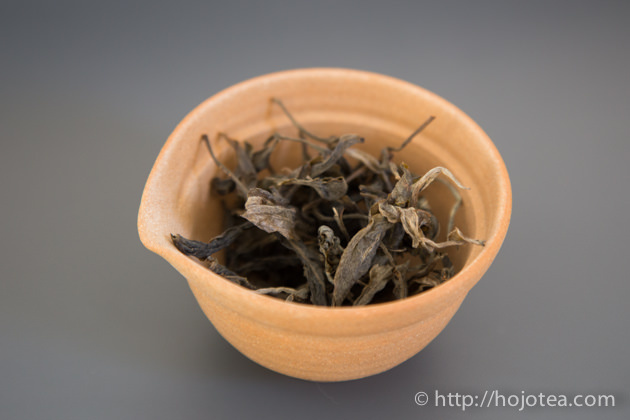 However, if we understand its characteristics well, we will notice that it is rather more suitable for brewing pu-erh tea or fermented tea. 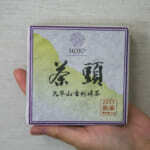 Generally, a lot of people associate Shiboridashi as equipment for brewing Gyokuro or premium Sencha such as hand-rolled sencha. This prejudice was made due to the overwhelming number of information written in books and internet articles. But what is the reason that Shiboridashi is meant for those Japanese green teas? 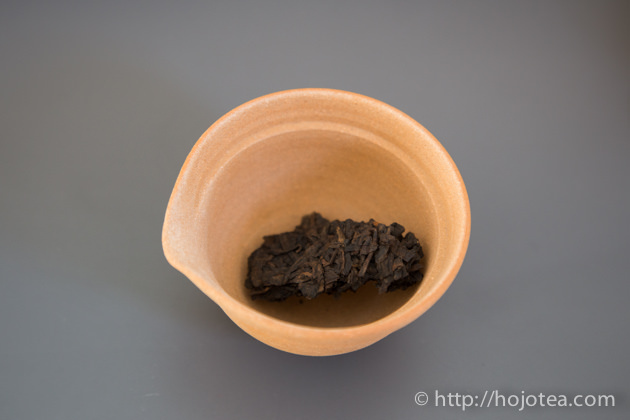 Is there any advantage of using Shiboridashi for brewing those teas? 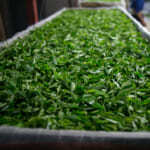 One of the reasons could be Shiboridashi provides sufficient space to allow the tea leaf to unfold nicely in hot water. However, to achieve this purpose we can also use a flat-shape teapot or teapot with bigger volume. In addition, based on my experience, the shape of teapot does not really affect the taste or flavor of tea. 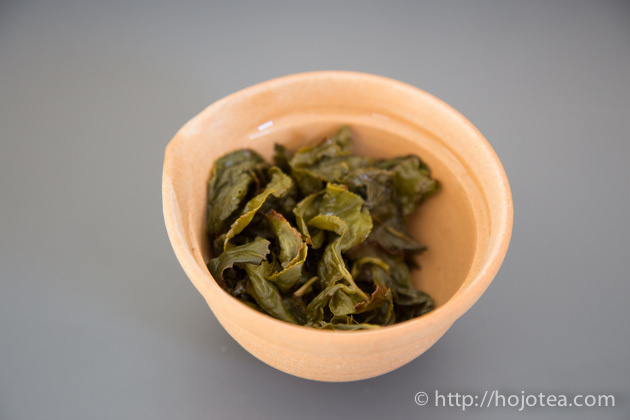 Even if it is brewed in a small or slim-shape teapot, the leaf of Gyokuro is able to unfold sufficiently and it produces good flavor and taste. The gap between a lid and a body is fixed. So no trouble for adjustment. It is an advantage that Shiboridashi has no filter. So the flow of tea is very smooth like Gaiwan. 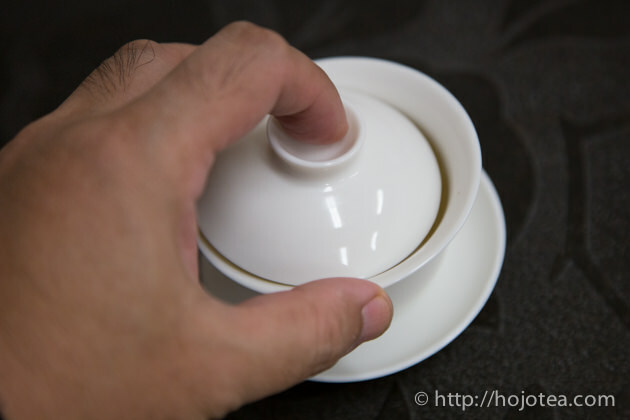 In addition, we do not have to adjust the gap like when using Gaiwan. As such, there is less chance that our fingers get in contact with hot water. 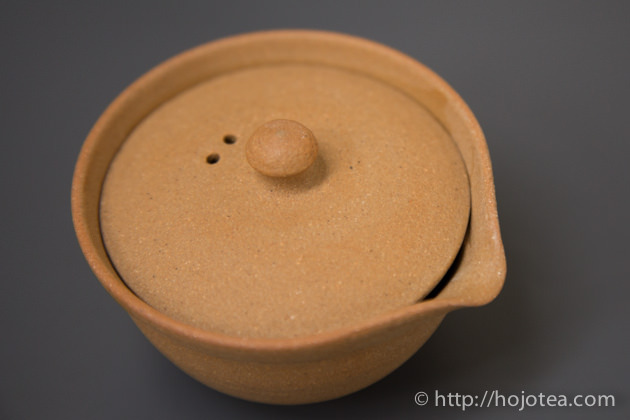 A well-made Shiboridashi has a lid fit well to the body and it is like crescent moon shape. This gap performs as a filter to hold the tea leaves inside the body and only liquor flows out. Only highly-skilled artist is able to work out an appropriate gap of a Shiboridashi, and that reflected the maker’s skill. Too wide or too narrow gap affects its function. The following video shows Kobiwako Shiboridashi made by Maekawa Junzo. It demonstrates the flow of Shiboridashi. He has a pretty good skill in making the gap. The above video demonstrates the water flow from Shiboridashi. The structure of Shiboridashi is very simple. Once the lid is removed, its shape is just like a cup. 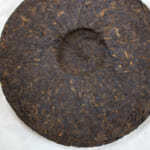 Needless to explain that it is extraordinarily easy to put or remove tea leaves. 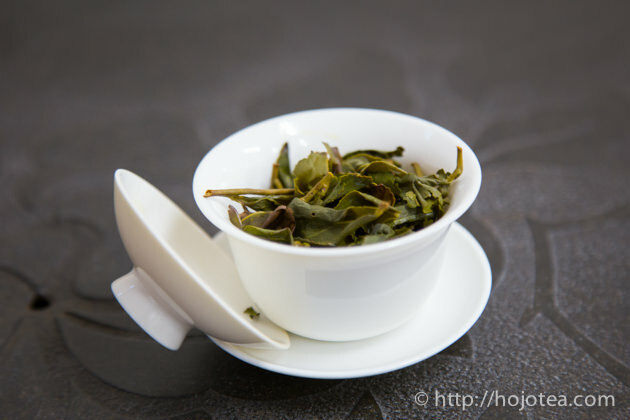 In particular, you will enjoy its benefit when you are brewing the tea with bigger leaves such as Phoenix Dan Cong Oolong, Wuyi Oolong or Pu-erh tea. The gap between the lid and body is fixed. So no trouble in adjustment. 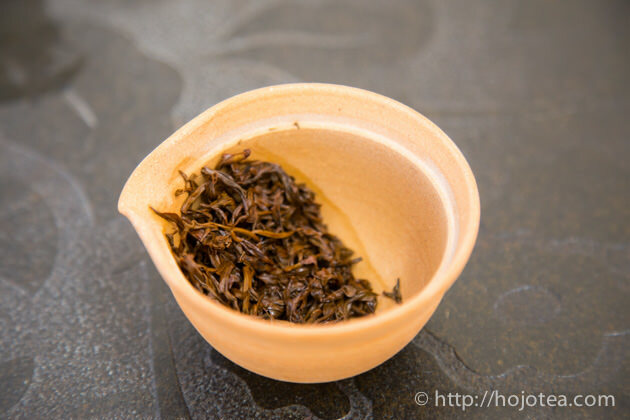 If you have ever visited tea house in Taiwan or China, you might have noticed that tea professionals often use gaiwan for tea brewing. 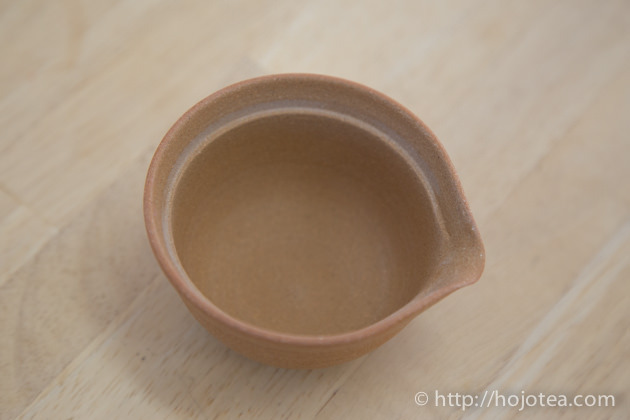 The design of gaiwan is very simple. It gives very fast flow. 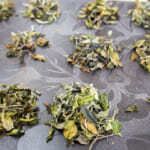 It is very easy to put or clean tea leaves too. 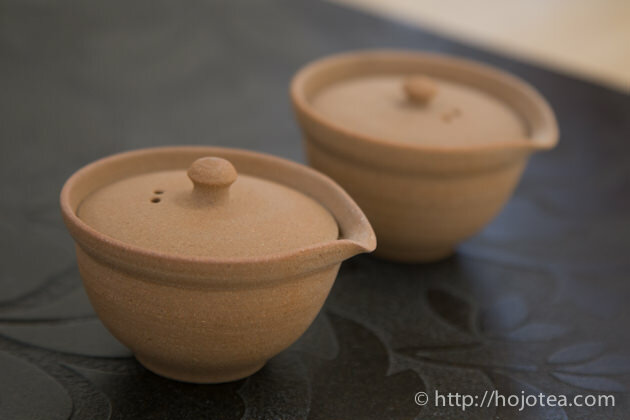 However, it requires a lot of experiences to handle the gaiwan in order to control the flow of tea. If too wide, tea leaves may come out. If too narrow, tea gets stuck. Honestly, even I am using gaiwan to brew tea every day, sometimes I still get my fingers scalded. It always requires full concentration when brewing tea using the gaiwan. As for Shiboridashi, we do not have to adjust the gap between the lid and the body. So it makes our tea life becomes easier. Pour in boiling water and leave it for 10 seconds to pre-heat the Shiboridashi. Put the tealeaf, and pour in boiling water. Rinse for 10 seconds and pour off the water. The 2nd brewing onwards is quick infusion for less than a few seconds. 2nd Rinsing for 10 seconds with boiling water if tea is tightly rolled (e.g. 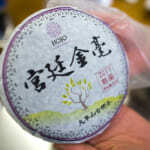 Taiwan high mountain oolong), or compressed tea, and 5 seconds if loose tealeaf such as mao-cha. 2nd Brewing onwards is quick infusion for less than a few seconds. You may feel odd that we rinse black or green tea. This is to increase the brewing temperature. 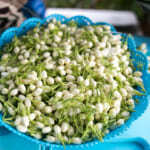 With this method, we can have purer flavor, more intense and high clarity in taste. We often think that it is such a waste and once tea is rinsed it can’t lasts for more brewing, and hence we may not wish to rinse the tealeaf. The actual fact is the rinsed tea lasts more brewing. In addition, the taste of tea brew with or without rinsing is totally different. If you feel 10 seconds is too long for pre-heating, you can start from 5 seconds. In Japan, normally people have prejudice that Japanese green tea is supposed to be brewed at less than 80 degree C in order to avoid the bitterness. However, you may surprise that high temperature brewing works pretty well. If we make the first brewing shorter, tea won’t taste bitter. 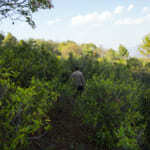 This brewing style is rather essential for the green tea from natural farming garden, because of tea contains very less umami but plenty of poly phenols. This particular brewing technique is called Gong Fu Brewing. 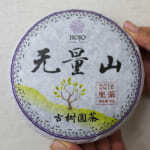 It was originally developed for brewing premium oolong tea. 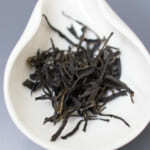 The above video demonstrates the brewing technic of black tea using Shiboridashi. I am so sorry but the subtitle is in Japanese. Anyway the subtitle is less important for this content.